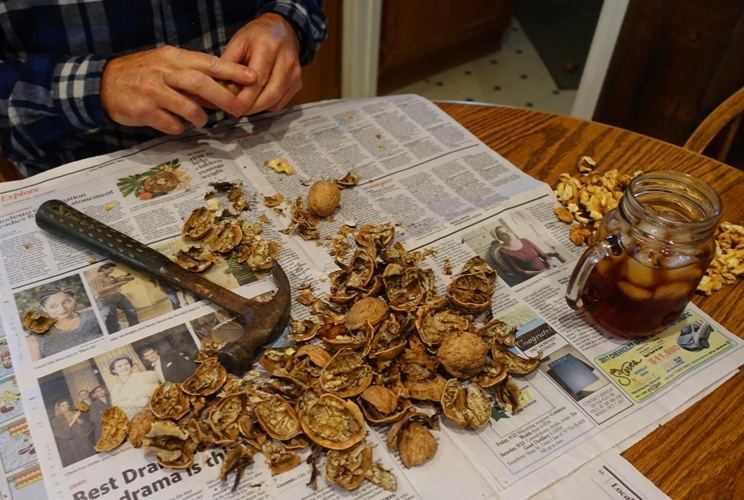 Today we spent part of the afternoon shelling walnuts. I have shelled a few walnuts over the years, but not in this quantity. 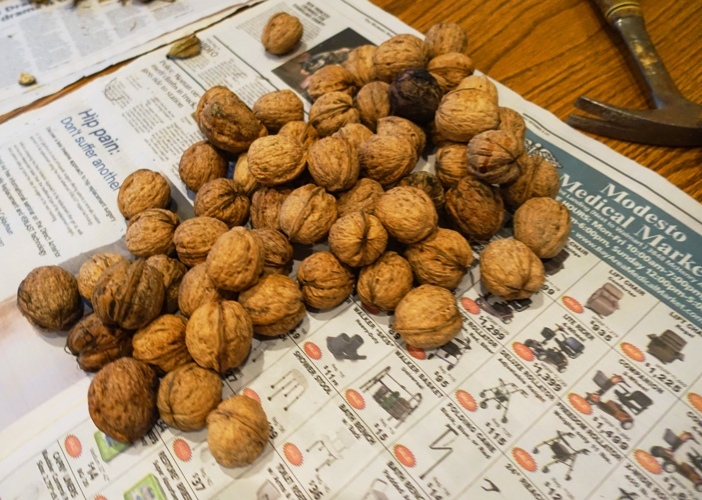 After laying out newspaper on the kitchen table we poured out some walnuts to get started. We were soon whacking walnuts with hammers and removing the meat from the shells. The trick to shelling walnuts is hitting them in just the right place and using just the right amount of force from the hammer. If you hit the walnut too hard then you smash the kernel to bits and have a hard time separating the shell from the meat. If you use too little force it simply does not come apart. It took a bit of experimenting, but I was soon shelling at a good pace. We shelled a complete gunny sack full of walnuts in about an hour. 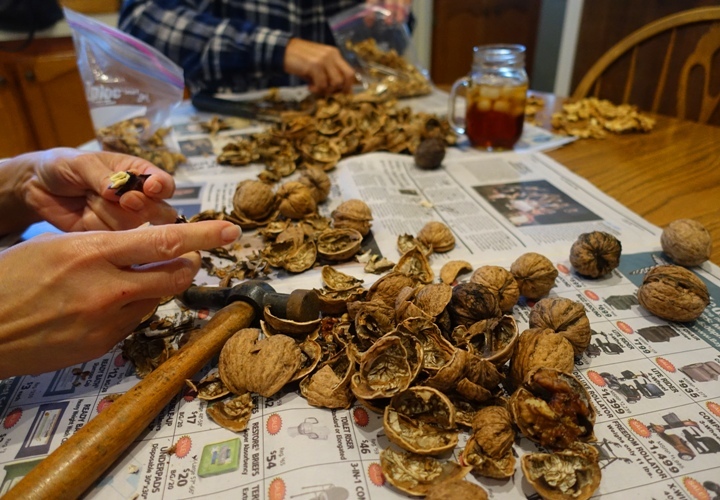 We had a great time sharing stories while working, including holiday memories of cracking nuts. 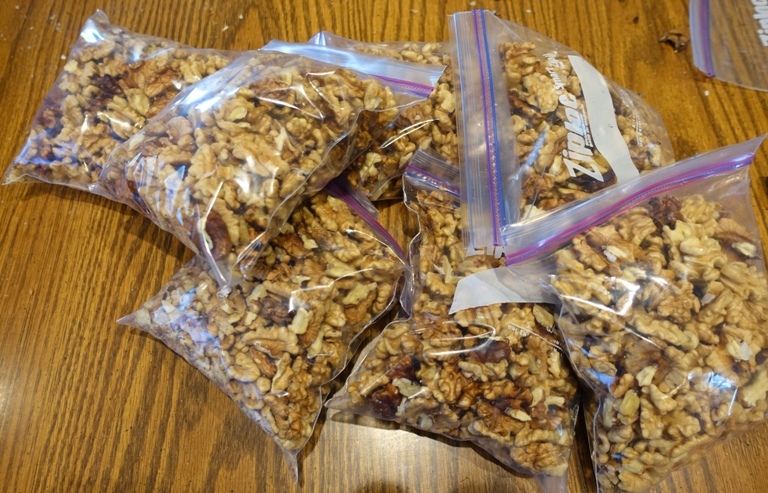 Finally we had bags full of nuts that are now ready for baking or simply snacking. The walnuts tasted really good and we ate a few along the way. I brought a couple bags home with me, so now have plenty of nuts to snack on. 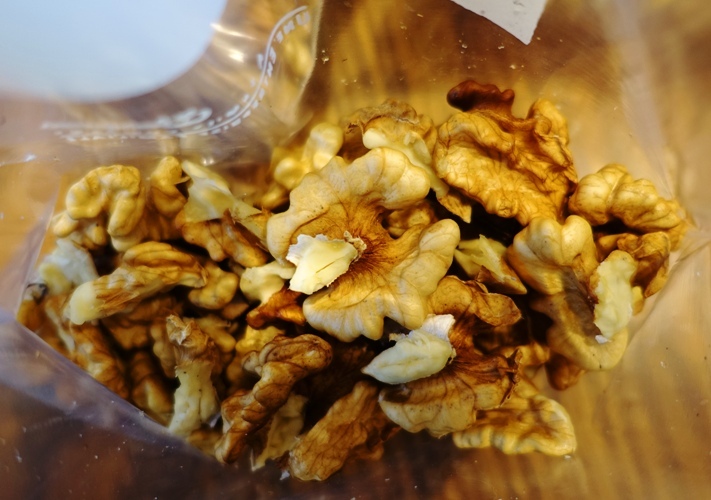 How would you use shelled walnuts? This entry was posted in California, Culture, Food, Nature, Seasons and tagged hammers, Harvest, nutmeat, shelling walnuts, walnut halves, walnut orchard, walnuts. Bookmark the permalink. 🙂 I use them in cereal and in salad. They add a nice crunch!